Looking for some alternatives to WordPress? There are WordPress alternatives that you can use to build your website. 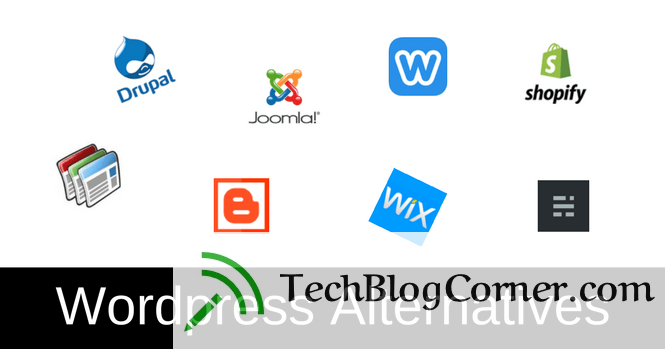 These alternatives to WordPress are all standalone content management systems. That means, like self-hosted WordPress, you’ll need to install them on your own hosting to use them for your site. It’s always a good idea to keep an eye on all the other CMS alternatives to WordPress, as they are equally as good, and could be picked up for your next project. Weebly is a popular alternative to WordPress. Undoubtedly, Weebly is the easiest free website builder for the beginners who are not tech-savvy. The user interface is the most friendly and lightweight. 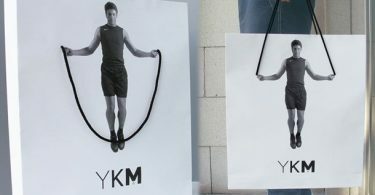 It embosses a simple drag and drop minimalistic approach in designing. Users can very promptly delve their hands in playing with the features to build the websites in few minutes without getting into the hassles of writing or editing any piece of code. For expert features, one needs to pay $25 per month. Pros: Unlike WordPress, the users do not need to install external plugins for drag-and-drop. Drag-and-drop feature comes by default in Weebly. Cons: Free option provides creation of five webpages only, unlike WordPress which provides unlimited webpage insertion for free. Wix is the most robust free option as the WordPress alternative if the user is actually looking for building a website with really sophisticated and polished look. Wix offers 500+ stunning website templates from which the users can choose their desired one compatible with the subject and contents of his website. It has innovative tools and wizards to integrate as per your wish, like, you can insert your jingle if you are building your music website or you can upload your latest doodle if you are building your creative designing website through proper wizard’s usage in Wix. Pros: Wix is much more lightweight than WordPress. Even with slow internet speed, Wix websites load faster than WordPress websites. Cons: Users can not avail self-hosting facility using Wix. WordPress provides with much more opportunity to self-control rather than Wix. Squarespace is also a much easier alternative than WordPress, but it is not free, but users can use it for free during the trial period. Afterwards, the users need to pay $8 to $24 per month based on the features they want to opt for their websites. Squarespace offers professional looking templates with the help of which one can build professional e-commerce website or professional e-marketing websites. If one is tech-savvy, he can customize the sites with CSS styles. Pros: Squarespace has separate modules for blogging, e-commerce and portfolios, unlike WordPress. 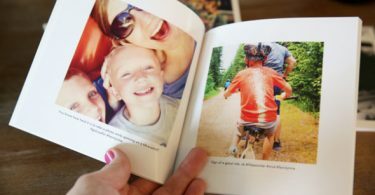 Squarespace also has unique feature of integrating editable images from Aviary. Cons: Again self-hosting is not possible here and you have lesser self-control. Joomla is the most popular CMS (Content Management System) available in market while comparing with WordPress. The best feature of Joomla is that it is absolutely free and it can integrate hundreds of open source applications with the websites. If the user is having programming knowledge, then Joomla has tons of functionalities to offer and virtually anything and everything on the earth can be done by using Joomla. It comes with 64+ languages option, integrated contextual help system, media manager, advertisement manager and various other content managers. Pros: Unlike WordPress, Joomla unleashes hundreds of potential functionalities with the help of its content management system. Also, multi-language support is a unique feature offered by Joomla. Cons: If the user is not tech-savvy, Joomla can appear difficult to use for them. Drupal is another popular CMS which is also a commendable alternative for WordPress. Like Joomla, Drupal also comes for free for usage, but unlike Joomla, Drupal requires costs for hosting of the website. It also supports multi-language compatible to use with 70+ languages. It has a well-managed administration panel with five whopping sections named as: Content, Appearance, People, Structure, and Configuration. The only possible hindrance to use Drupal is the level of technical knowledge and expertise one needs in order to use it. Pros: Drupal’s content management system is undoubtedly much more upgraded than WordPress which has 100+ themes, 16000+ add-ons and beautiful jQuery integration option. Cons: People require high level of technical expertise for using Drupal. Tumblr is an overly used microblogging site which is a great alternative of WordPress if one is looking for posting temporary termed contents, then Tumblr is the coolest option available in market. Apart from microblogging, if social networking is also on the user’s list of desire, then also Tumblr is a great option to use. It is free to use and pre-made standard contents of text, images, quotes, chats, audio pieces and video plugins are available beforehand. Pros: Tumblr is more compact than WordPress. No extra plugin is needed here. Cons: Not all the themes are available for free, some are paid. Blogger or BlogSpot is an easy WordPress alternative if the user is looking for a site predominantly for blogging purpose. It is absolutely free and no separate signing up is required. If you have a Google account, just use Blogger with that sign-on. It is user friendly and no prior technical knowledge is required for using it. If writing is your passion, you can your first hosted blogging platform over here. Blogger also supports sharing of your blog posts through Google Plus. Pros: Blogger supports Google Plus, Google AdSense and Google Analytics integration. Cons: The design templates are old and lack modern enhancements. If you are looking for SEO-optimized website alternative for WordPress, then Jimdo is the good alternative for you. Jimdo offers a wide range of functionalities including hosted solution and categorical template-choosing option (business, store, portfolio, and personal). Jimdo supports uploading of high-resolution images in its galleries and Google Maps integration with the sites. Pros: Jimdo offers front-end content editing option with WYSIWYG editor which is a unique feature to consider. Cons: Even though its basic version is free, the advanced one needs the users to pay $21 per month. Pros: KeynoteJS has better, more dynamic and compact CMS than WordPress. Cons: Some versions of browsers like IE and Firefox sometimes face problems in loading all the contens of JS websites. Pros: More functionality-oriented CMS than WordPress. Cons: Ghost is less flexible than WordPress. If publishing is your main concern, then there is no second choice as comparable as Medium which can act as a potential WordPress alternative. Medium looks gorgeous both in laptop and mobile. Your stories, articles or blogposts will look legible with beautiful fonts in front of readers. It has great editor, and WordPress very recently made their Gutenberg editor after getting inspiration from Medium’s editor. It is free. Pros: Medium follows algorithms for dispersing the site content, unlike WordPress which does not follow any algorithm. Cons: There is no customized themes or designs to choose from. Magento is an open source e-commerce store development platform which comes as a handy alternative of WordPress if you are new into this business and looking for a user-friendly content management system to handle all the required functionalities for running your e-commerce project. There are various editions of Magento, and depending upon your budget and overall size of business, you can have the flexibility of choosing the best suit for you. Magento is coding-friendly, SEO optimized and mobile compatible. It also has a magical feature of “multiple store management” which makes it unique. Magento allows you to run multiple number of store fronts from a single backend system. Pros: Best modules for e-commerce website are present here which are better and more customized than WordPress. Cons: The basic Magento Community Version is free, but Magento Enterprise Edition is paid. We hope this article provided you a chance to look at some popular WordPress alternatives. If you liked this article, Share with your friends and if we missed anything in this then let us know in comments.